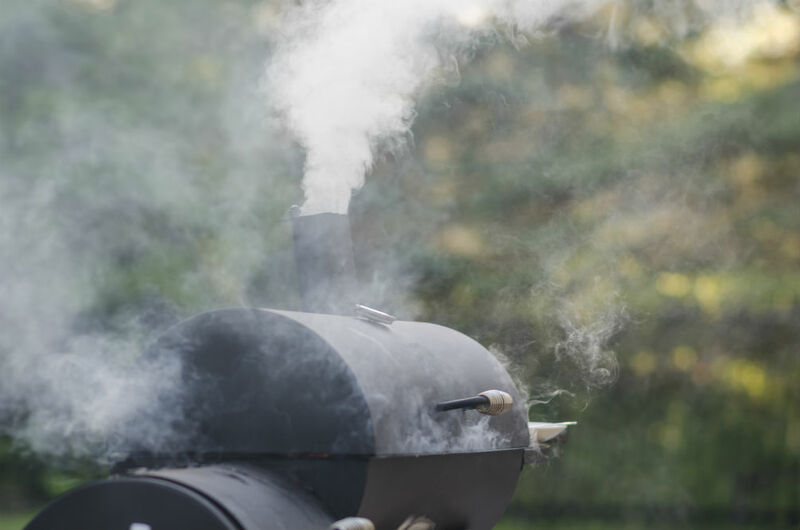 If you’ve never owned a smoker before, you might be tempted to start using it right away, but this can lead to you tearing your meat and not getting the best cook for your first few uses. 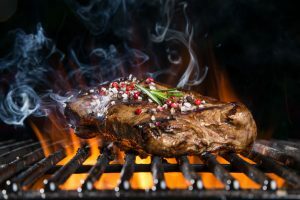 Instead, what’s recommended is that you take the time to season the smoker as this will make it easier to cook a wide variety of things on your smoker. 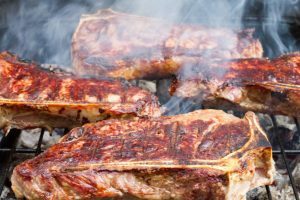 In order to learn how to season a smoker, it’s best if you follow these quick steps so that you can get your smoker up and running, so you can enjoy flavorful and decadent meats and vegetables. Before we get started, it’s best for you to know why seasoning is important simply because most people aren’t aware of why they should go through the process. 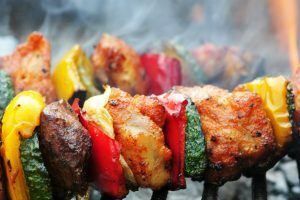 There are two main reasons as to why seasoning is essential. First, because of manufacturing remnants, and second, because of rust. When a smoker comes out of the manufacturing plant and is packaged and shipped for sale, you can guarantee that they don’t clean it before selling it. This means that there could be trace elements of toxic chemicals with very unpleasant flavors that could affect the quality of your meals and your overall health. 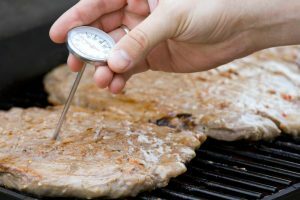 By seasoning, you’ll be able to get rid of any solvents, oils, adhesives, and even paint that would make its way onto your meat. 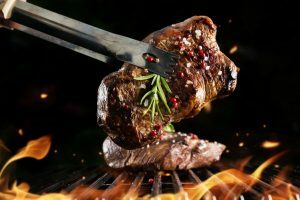 In terms of rust, when you season your grill, you’re creating a protective layer that prevents the steel from being affected after every smoking session, especially if there’s any residual moisture in the chamber. By coating the inside of your smoker with smoke and carbon, any condensation will easily drip off to preserve the metal. Now it’s time to learn how to season a smoker with ease, even if you’ve never had the ability to own one before in the past. These steps are so simple that even teens can tackle the project on their own. 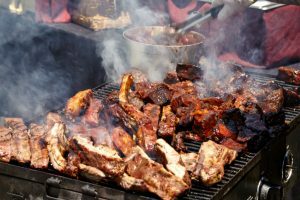 First, you’re going to want to make sure that you clean all the interior components of the smoker including the racks, pans, grates, and the inside of the smoker itself. We recommend using a combination of dish soap and water, and it’s easier to clean the parts before you assemble the entire unit. It’s essential that you choose a high-quality dish soap, as it’s going to act as a degreaser to help get rid of obvious traces of grime and oils from manufacturing. Also, you’ll want to use a soft cloth, such as a microfiber cloth, to make sure that you don’t scratch the interior. Once you’ve thoroughly cleaned all the interior components of your smoker, it’s best if you leave it to air dry. Instead of trying to dry everything with a towel yourself, air drying makes sure that all traces of condensation have been removed before you proceed to the next step. What you’re trying to achieve with the cooking oil is a nice, thin layer on all of the interior parts of your smoker. You shouldn’t add so much that you’re going to need to wipe it away afterward. 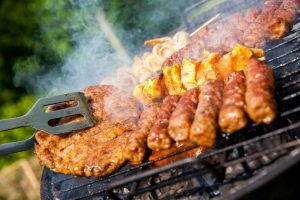 Most smoker owners prefer to use a can of cooking oil (without flour) as it takes the least amount of time and it’s far easier than using oil and a cloth. Again, you’re going to want to make sure that you wipe everything down with oil before you put it together, as you’ll have to pay close attention to all the nooks and crannies where rust may be likely to sneak in. As soon as you’re comfortable with the amount of oil coating the racks, grates, interior, etc., it’s time to assemble the smoker as per your manufacturer’s instructions. Due to the fact that a lot of the pieces are going to be slippery because of the oil, you’ll have to pay close attention to make sure you don’t drop any parts. Also, once the grill is assembled, you’ll need to spray the areas you touched to replace any oil that was removed. At this point, you should have every part of your smoker ready to be seasoned. You’ll want to open the vent on the smoker and set the temperature to its maximum, then, close the lid and run the smoker for three full hours (or a full cooking cycle). 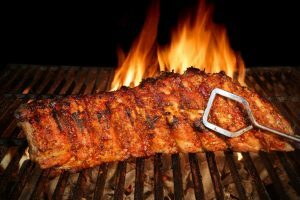 Once the first cooking cycle has been completed, there is the possibility of adding an additional flavorful coating to the inside of your smoker with the help of a water pan and a can of beer. All you have to do is place the water pan in the center of the smoker and pour beer into it, close the lid and set another full cooking cycle. The reason it’s recommended that you do this step after the original seasoning is so that the beer isn’t tainted by any odors or chemical traces left behind after manufacturing. Now that your smoker has been sufficiently seasoned, you’re more than ready to start smoking all of your favorite meats and vegetables. Depending on how well you seasoned the smoker and how often you use it, you might not need to season it for the remainder of the season. However, if you’ve begun to notice a buildup of condensation after using it a few times, you should follow the above steps for re-seasoning. 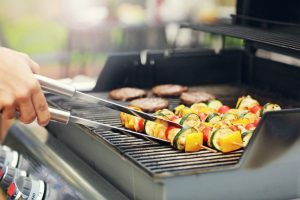 Seasoning your smoker is not only important for adding flavor to your meals, but it also helps to protect your most loved appliance from rusting and weathering. With the help of cooking oil, you’ll be able to create a slick surface to get rid of moisture, preventing the likelihood of rust buildup. Above all else, seasoning helps to ensure that any harmful chemicals are removed from all of the pieces your food will be touching while cooking, giving your family a delicious and safe meal to enjoy.